Water is one of the most basic needs of life, yet billions of people around the world don’t have access to clean drinking water. Although major shortages occur in developing nations, developed countries also face unanticipated water shortages, especially after natural disasters that can disrupt supplies without warning. But in a recent tech breakthrough, a team led by Guihua Yu at the University of Texas at Austin has created a water purifier to generate clean water from any source, even from salt water from the Dead Sea. Researchers developed a cost-effective and compact technology using combined gel-polymer hybrid materials. These hydrogels possess both hydrophilic (attraction to water) qualities and semiconducting (solar-adsorbing) properties. 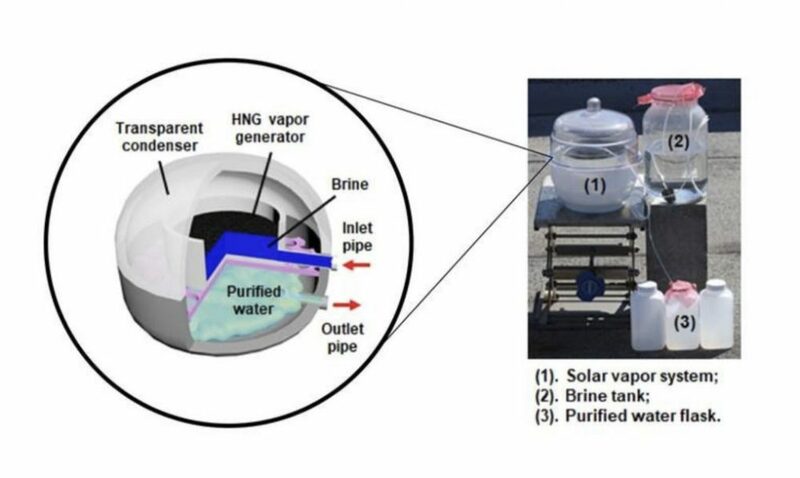 This new hydrogel-based solar vapor generator uses solar energy for creating water vapor and to power the evaporation of water for effective desalination. 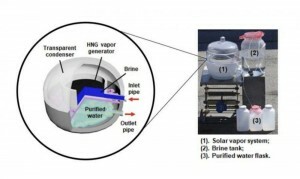 Solar steaming technologies that are presently used for treating saltwater are very costly, however, this hydrogel-based solar vapor generator can desalinate water very economically using a minimum of power. Researchers tried hydrogels on water samples from the Dead Sea. Amazingly, they achieved levels of purity that met accepted drinking water standards outlined by the World Health Organization and Environmental Protection Agency.